You woke up from a wild night out on your bed, still fully dressed in the clothes you wore to the party last night. The pounding in your head is making you feel nauseous and dizzy. Nevertheless, you hopped out of bed and dragged yourself into the washroom. Half an hour later, there you were, all nicely dressed and ready to get to your boring desk work and your annoying boss. As you check your mail, you came across a letter from the International Travel and Tourism Department. Out of curiosity, you opened the letter. We are proud to tell you that you have been chosen to go on a race around the world as well as several other contestants. You will be faced with challenges along the way, and the winners will be the ones who pass them all! Your guides for this trip are Ezreal, The Prodigal Explorer, Teemo, The Swift Scout, and Lux, The Lady of Luminosity. They are our best guides and travelers and have been to many places around the world. We sincerely hope you have a great time. Last edited by Conia on August 20th, 2011, 5:38 am, edited 1 time in total. [spoiler]- You can always send in a new action, which will replace the old one. - Each playerâ€™s vote is made public at the end of the Day phase, unless the voting was stopped by a method that obfuscates lynch votes. - If the player was APTXed or arrested, then his/her vote won't count. - Faked Black Suitcase actions are not crimes (even neutralizing etc.). Suspended: Police who try to arrest someone for a false charge will get suspended for 2 phases after the arrest attempt, as well as the phase the arrest attempt was on. When being suspended, the police will lose all Ability except for Voting on day lynching. So, a police who attempts an arrest on Night 3 would fail any investigations on Night 3, and be suspended for Day 3 and Night 4. On Day 4 they would have normal abilities. Like Injury, they can still use items they're given, though. The BO has a Leader. It starts off as the highest rank BO member (As decided by role list). The Leader has the ultimate right to choose a Night kill target and will give the order. No one can overwrite the Leader's kill order. Other players can also send in the kill order, in case the Leader does not (But they may only send in a kill order for themselves, unless another BO member has given them their actions). The priority of the orders will be decided by the BO ranking. Note that the Leader can only give out Night killing orders, not orders for any other players, or for APTX. The BO may elect to choose a leader on their own if they wish to override the default leader. Each player should send in a vote for who they think the new leader should be, and that player will become the Leader, effective the next phase. The player must have 50%+ of the BO vote to become leader. - Have the final word on who kills who during the night. They may force any member of the BO to kill anyone else and their word is final. - Hand out the Black Suitcase. Every Day phase, the leader will choose a member (or ranking of members) to get the suitcase for the following night. In the case that the intended recipient is arrested, killed, or is otherwise unable to receive the item, the suitcase will go to the next eligible player. If nobody is sent the suitcase, the Leader gets it for the night. The BO Leader can only submit kill orders for the other BO members. NOTHING ELSE! Lynch votes won't be shown in the case of Voice of Reason and Protection, all other cases it will be shown. Suspensions will not be shown. Injuries will not be shown. Last edited by Mystery_angel801 on July 30th, 2011, 6:56 pm, edited 1 time in total. Killing action: An ability a BO member can only use on a night they're assigned to kill. Injured BO will lose all of their abilities (including sniping). Injured BO can still kill each night, and use items such as black suitcase and bow-tie/watch. An injured BO will not be able to use their Killing Ability during their night killing while injured. Note: Sherry and Haibara can't be in the same game. Note: Matsumoto does not get suspended for incorrect arrest attempts. Who's gonna suspend the boss? Note: Yamamura, due to constantly being a bit addled anyway, is unable to be discombobulated. Discombobulators will still be told their discombobulation succeeded, but Yamamura will still be able to use his actions. Yamamura will not be told he was discombobulated. This discombobulation immunity also applies to Confuse (in case there are multiple Yamamuras from disguise). Note: Conan and Shinichi cannot be in the same game. This doesn't apply if one is fake. Note: Haibara and Sherry can't be in the same game. Note: KID will be given a random disguise from a role not in the game on Night 1 (Vermouth/Kid may receive the same one). Last edited by Mystery_angel801 on August 8th, 2011, 6:35 pm, edited 1 time in total. - Can't be lovers. Can't befriend DBs or BO besides Vermouth. - If Sonokos friend is killed during the night (not with sniping), she gets to keep her friend's abilities, but she will not get to know the murderer. - Gets sober after # townies have died by default, meaning his interrogation on the night of the #th dead will be accurate. The # is up to the GM, but it will generally be 6. - The GM will choose a role not in the game and give that disguise to the player on Night 1. So, this isn't really a prep phase ability anymore, but it doesn't make much sense as a status. The player will still be able to use their disguise abilities on Night 1, this is just because having Vermouth/1412 choose disguises amounted to nothing more than getting a random one anyway. - It is possible that 1412 and Vermouth obtain the same disguise, as they don't consider disguises as roles "in the game" when getting a disguise. 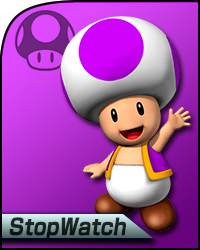 - Night Phase: If a player with Choose Costumes has used all 3 of their chosen costumes, and are not disguised at the time, the next Night Phase, they will be given a new list of costumes to choose from. - Investigation returns true if the Role was one of the costumes they decided to choose. - Yukiko and Irish can be disguised starting from Day 1. - If she befriends Vermouth, she will befriend the disguised role and will not know that it's Vermouth. Sonoko will stay as a Towns person and will not join the BO. 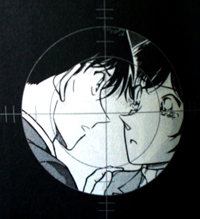 - When Sonoko's friend dies because he/she was killed by the BO, she will not learn the attackerâ€™s identity. - If her friend dies, she can't use their abilities anymore. - The traveling can be hindered, but only in the case of a player flying away from Japan. - Not in Japan: The player is handled as if he were arrested. So the player can't be killed in any way, can't use actions besides Travel and can't Vote. No actions may be taken on him. - On the plane: All "Not in Japan" rules apply to this as well. - Leaving Japan: The player can't use an ability/vote and decide to travel at the same time. He can either decide to travel and can't use his abilities or vote in that phase. Or use his abilities/vote but can't travel then. Traveling is the last thing to happen, so any attempts to lynch, discombobulate, APTX, etc made on the player the same phase they're leaving Japan will succeed. Killing Actions are actions that BO members have, but can only use on a night where they're assigned to perform the nightly killing. Except for cases where the ability augments the killing itself (ex: headshot, quickshot, erase body), these abilities can be used whether or not the killing is successful. - If Anokata is the only BO member not in jail and alive, he loses this ability. - On a phase where Gin attempts to kill somebody, he may use Cloak of Deception. - If he does, all actions taken by Gin that phase (Slander, kill, investigate, bowtie interrogate, BS, etc) will return "false" results if investigated/staked-out by other players (thus he cannot be arrested for these actions). This is not temporary, so if Gin kills on Night 2 and on Night 3 someone special investigates him slandering on Night 2, it would be false still. - Cloak of Deception doesn't keep Gin from past crimes on that phase, so for example if Gin performs a killing on Night 3, he can still be arrested that same night for a slandering he did on Night 2. - Cloak of Deception can't be discombobulated. - If Gin is the only BO member not in jail and alive, he loses this ability. - On a Night phase where Vermouth attempts to kill somebody, Vermouth may choose to be a "Master of Disguise"
- While Master of Disguise is in effect, all investigations/arrests/etc regarding Vermouth's disguise will return false, as if she was never disguised. As such, Cross-Examine will return false if disguising is her only crime with evidence remaining. - While Master of Disguise is in effect, Identify will return "True" for the disguised role, and "False" for Vermouth. - Master of Disguise doesn't permanently erase disguise crimes: If Vermouth uses it on Night 3, on Night 4 she could be arrested for disguising on Night 3. However, if she was arrested on Night 3 or Day 3, it would fail. - If Vermouth is the only BO member not in jail and alive, she loses this ability. - See Special Investigate in the Night actions section. - See Investigate in the Night actions section. - When Pisco successfully kills someone, his one-time-use of Erase Body is recharged. Note that this doesn't give him 2 if he hasn't used it already, but if he has used it he regains the power. - If Pisco is the only BO member not in jail and alive, he loses this ability. - On a Night phase where Irish attempts to kill somebody, he may choose to grab a costume. - Irish can choose 3 possible roles to use as costumes, and the GM will choose one to give to Irish. This costume will be added to his list of costumes. - The roles Irish chooses from cannot have any overlapping abilities. 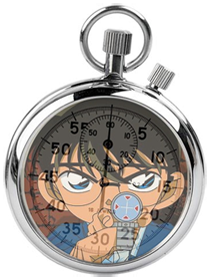 So, if you really want an Investigate 5, you can't just say "Conan/Heiji/Shinichi". The GM will give you a stern look. 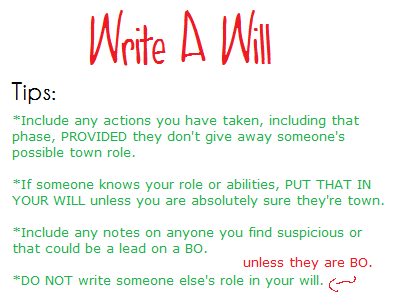 - If Irish is the only BO member not in jail and alive, he loses this ability. - On a phase where Vodka attempts to kill somebody, he may use Heavy Handed. - Heavy Handed causes vodka to injure the target of his discombobulation for 3 phases, but only if the target is successfully discombobulated. - In addition to being investigatable as discombobulation, a target injured by Vodka in this way will also be "attacked" by Vodka. So, if Vodka kills Shinihi, and discombobulates Heiji, the investigations "Vodka attacks Shinichi", "Vodka discombobulates Heiji" and "Vodka attacks Heiji" will all return true. - If Vodka is the only BO member not in jail and alive, he loses this ability. - Headshot replaces kill for the specified roles. The BO Leader can therefore order Sniping if the killer is one of the roles with Headshot. - Snipers will always use Headshot when they are able to. - Headshot will bypass healing (Heal or First Aid) and kill the target, but not the healer. - In case the target is protected, the target doesn't die but the protector will be killed instead. - In case the target got the watch from Agasa, it acts like a protector and thus shatters and becomes unusable. - If the sniper gets discombobulated, nothing will happen. The target or the protectors wonâ€™t die and the watch won't get destroyed. - If Chianti is the only BO member not in jail and alive, she loses this ability. - Quickshot replaces kill for the specified roles. The BO Leader can therefore order Sniping if the killer is one of the roles with Quickshot. - Snipers will always use Quickshot when they are able to. - Quickshot will bypass healing (Heal or First Aid) and kill the target, but not the healer. - In case the target is protected, the target doesn't die, and the protector acts as if they protected the target. So, Ran is injured, Makoto flies away, nothing happens to the watch. - If the sniper gets discombobulated or arrested in the same phase, the sniper's kill still happens. he will be notified that he was discombobulated/arrested, however also that the kill succeeded (similar to if a bribe-killer gets discombobulated/arrested). - If Korn is the only BO member not in jail and alive, he loses this ability. - On a phase where Calvados attempts to kill somebody, he may use Reload. - Calvados may choose to "Reload" any member of the BO. If he does so, that member's kill attempt count is reduced by 1, allowing them to kill again rather than waiting for all the other members to kill first. - May use Reload on himself. - If Calvados is the only BO member not in jail and alive, he loses this ability. - On a phase where Tequila attempts to kill somebody, he may use Insult to Injury. - If the target has been injured previously, whether they're still injured or not, Tequila will discombobulate the target (and can be investigated as such). - If the target is still currently injured, they will also be frightened by Tequila (and can be investigated as such). - If Tequila is the only BO member not in jail and alive, he loses this ability. - On a phase where Sherry successfully kills somebody, Mad Science automatically takes effect. - If Sherry is the only BO member not in jail and alive, she loses this ability. - On a phase where Akemi attempts to kill somebody, she may use Peek. - When Akemi uses Peek, when she steals from her target that night, she will be able to "Peek" at another item they have. - The item revealed is random. 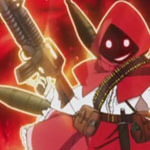 - If Akemi uses Steal on a target who she has previously used Peek on, she will always get the item that she peeked at first if the player still has it. - So, if Akemi and Kid both steal from a target that Akemi peeked at previously, they will both be forced to take the peeked at item. - The target is not told that Akemi peeked at their stuff, just that the stolen item was stolen. - Investigating this action will come back as true, and so the townsperson can be arrested for this action as well. - If Calvados covers Gin, Calvados only receives Slander 1. - He can use slander on however many targets his Slander # decides. Only one of the targets may be BO. Last edited by Mystery_angel801 on July 30th, 2011, 7:56 pm, edited 1 time in total. - Discombobulated APTX: In the case of a completely failed APTXing (such that the target was invalid in some way, or the poisoner was frightened, etc), the target doesn't die and the capsule isn't used up. The exception to this is if the poisoner is arrested. - If the user chooses to fake an action, they can also investigate 4 real actions. Thus, they will get results from these 4 investigations, but if they so wish, they can fake a 5th which will yeild no results. - If the player holding the BS does not fake an ability and is chosen to do the killing for the night for the BO, that player may instead use the ability "Bribe" to perform the killing. The player may still use the real investigates of the suitcase. -If Headshot, the target will survive, but the watch will be destroyed and can't be used anymore. The watch does not shatter on Quickshot. - If Agasa gives Akonyl the watch on Day 2, a Night 3 investigation of "Agasa protects Akonyl" will return true. - She may accompany anyone during the day and the accompanied will learn that someone accompanied/followed them (Kazuha + Haibara's following notices are the same). She can't accompany herself. - Only one DB may use an action per Day. - Though they have to come to a consensus as a group as to what ability to use, the DBs act independently, so to hinder a DB ability you must hinder the DB actually using the ability. - DB Investigate can be used to investigate anything investigatable by Special Investigate. DB Investigate may not investigate Day actions, only Night actions. - DB Investigate may not be used two day phases in a row unless there exist no other DBs able to hand in an action (detained/arrested/killed/injured/etc). - If Vermouth is in the game and he Detects Vermouth, heâ€™ll get a True. Same for 1412. If he asks for his/her disguised role, then he'll get a False. - Can give out the Health Charm. The same phase and the phase afterwards, the target will be protected from APTX poisoning (Stable and Volatile). - Kazuha will be notified if the charm is used up, as will the player who was holding the charm at the time. Example: "Identify PhoenixTears as Megure". If PhoenixTears were Megure, the result would be "true". - Police Identify differs from normal Identify in that it does NOT identify through disguises. If Uehara uses Police Identify for Megure on PhoenixTears (who is Vermouth-Megure here), the result would still come back as "true". 2) If there is a failed arrest attempt, nothing will be said in the phase change post. - An unsuccessful arrest attempt can still be investigated as "true". - The player will be released automatically after 3 phases, if the detainer dies or is injured, or if the detainer gained the ability through a disguise which they lost (So, if Irish detains someone, they will be arrested at the beginning of the phase but released at the end of the phase automatically). - The detainer may release their prisoner early if they see fit. - Can not be used on the same person twice in a row. - Due to the paperwork involved in detaining someone without a reason to, the detainer is unable to perform any actions other than Detain on the Night phase that they detain someone on. If instead, they detain someone during a Day phase, this happens on the following Night phase instead. - Clarification: The detainer cannot detain somebody the same phase that the last player she detained is being released on. - Any player who does not vote to lynch during the Day, while otherwise able to, will become "lethargic" until the end of the next Day phase. - The first time somebody doesn't vote, they don't become lethargic. - If you don't vote due to being arrested, frightened, lethargy, etc, you won't become lethargic the next day. So, a player who never votes will be lethargic on Day 3, 5, 7, etc. Last edited by Mystery_angel801 on July 30th, 2011, 6:59 pm, edited 1 time in total. Last edited by Mystery_angel801 on July 30th, 2011, 7:23 pm, edited 1 time in total. it should start on the 6th of august. How many days will take? KaitoGirl wrote: How many days will take? A normal game of Mafia typically lasts one week. Some games do last longer, and some much shorter.